humid. but I think summer has finally arrived. fun card to create. Pleas leave me a Comment. Such a cute cute card tfs!!! What a happy little bear. So cute! 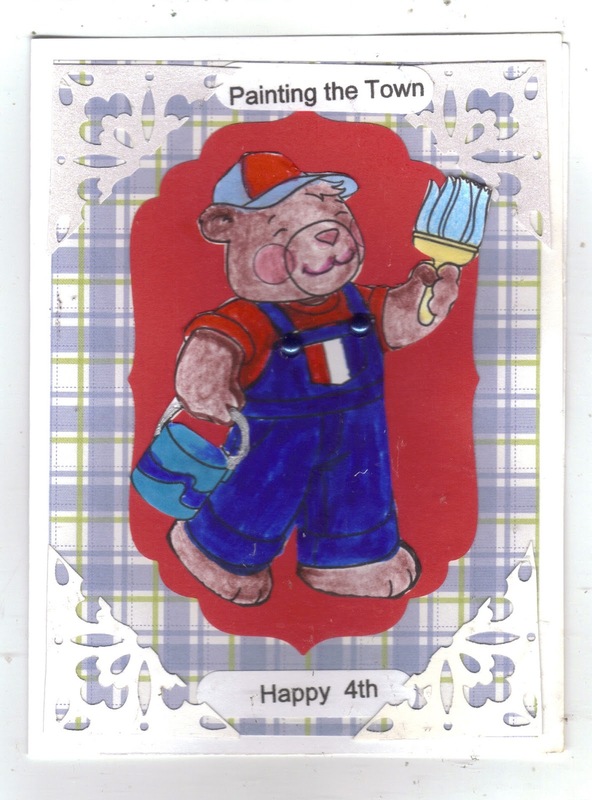 Love how you did this card, Judie! Glad y'all are finally getting some heat and a bit of summer! 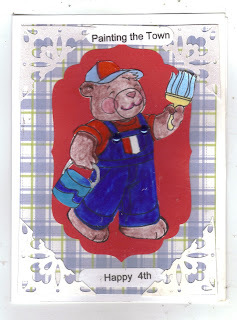 Love the red, white and blue theme and the sentiment matches him perfectly. Awe. This is so sweet, Judie and I love your corner embellishments!